Hungarian-American producer Andrew G. (Andy) Vajna, who died in Budapest on January 20, won a Golden Globe in 1997, as the co-producer of the musical Evita. Known mostly for action movies, Vajna was the driving force behind the effort to bring Evita to the screen, a 20-year Hollywood saga. The 1976 concept album by Tim Rice and Andrew Lloyd Webber inspired a 1978 musical. But years of development hell followed before it was made into a movie, as the rights passed from studio to studio, and various directors and actors were considered and dropped. The budget kept growing until it reached $55 million when Vanja bought the film rights, and director Alan Parker replaced Oliver Stone as writer-director and co-producer. Vajna kept Antonio Banderas in the pivotal role of Che Guevara and the movie's narrator, and after several A-list actresses dropped out of the lead role, Vajna daringly signed Madonna who had actively campaigned for the role. Production started on location in Argentina, where it was met with protests and controversy. Vajna then moved it back to his hometown, Budapest, where the Buenos Aires locations where recreated. Alan Parker, writer-director and Vajna's co-producer, said that "While Evita is a story of people whose lives were in politics, it is not a political story. It is a Cinderella story about the astonishing life of a girl from the most mundane of backgrounds, who became the most powerful woman her country (and indeed Latin America) had ever seen, a woman never content to be a mere ornament at the side of her husband, the president. (President Juan Peron of Argentina)"
Evita went on to gross some $141 million worldwide. The audiences loved it. The critics were not unanimous. Some savaged it: "You've been tangoed: despite a sterling cast including Madonna, Antonio Banderas and, um, Jimmy Nail, Evita is a superficial muddle that suggests Che Guevara was just a grumpy stalker " said the Guardian. But many reviewed it positively. Malcolm Johnson stated, "Against all odds, this long-delayed film version turns out to be a labor of love for director Alan Parker and for his stars, the reborn Madonna, the new superstar Antonio Banderas, the protean veteran Jonathan Pryce." 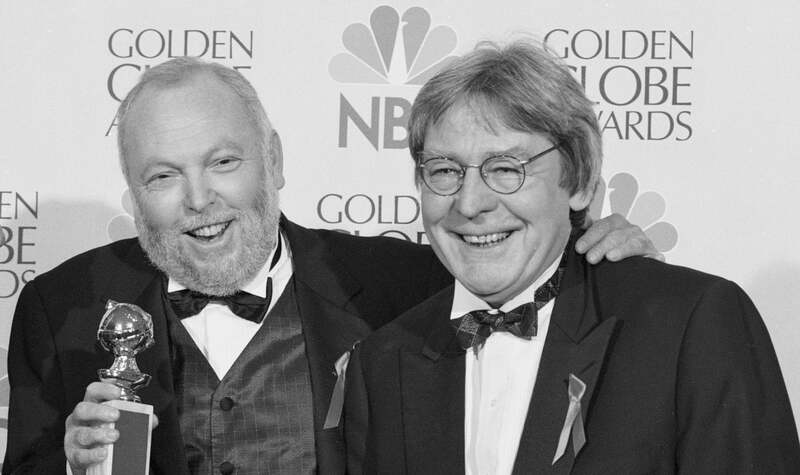 Andy Vajna and Evita director Alan Parker at the 54th Golden Globes, January 1997. Andy Vajna's rare foray into quality, arty film making was rewarded. Evita was nominated by BAFTA in eight categories, and by the Academy in five, all in technical categories. But the Hollywood Foreign Press Association nominated Evita in five major categories, and handed Andy Vajna his only Golden Globe, as co-producer of the movie that won the Best Comedy or Musical award. Madonna won for Best Actress in the same category, and the creators of Evita won a Globe for best song: "You Must Love Me", music by Andrew Lloyd Webber and lyrics by Tim Rice. All in all a change of pace for Vajna who was a more frequent visitor at the Razzies, where his productions collected Worst Movie awards time after time. Vajna's life story could have made a convincing movie about the American dream. He fled his native Hungary when he was 12, and after a career that included running a photography studio and co-founding a wig factory, he rose to be an American and international movie mogul. With his Lebanese-born partner Mario Kassar, Vajna founded Carolco Pictures in 1976, producing forgettable action films. In 1980 Carolco bought the rights to David Morrell's 1972 novel First Blood. The resulting 1982 movie — starring Sylvester Stallone as troubled Vietnam veteran John Rambo — cost $14 million to produce, and grossed $125 million worldwide. Vajna's Carolco became a major Hollywood player, producing blockbuster films that responded to the zeitgeist, giving a nation reeling from the loss in Vietnam action movies featuring lone heroes who win. Sylvester Stallone's Rambo franchise anchored the run, and Arnold Schwarzenegger starred in similar fare, Terminator 2: Judgement Day and Total Recall among them. Vajna left Carolco in 1989 and later founded Cinergi Productions, and then returned to his native Hungary. 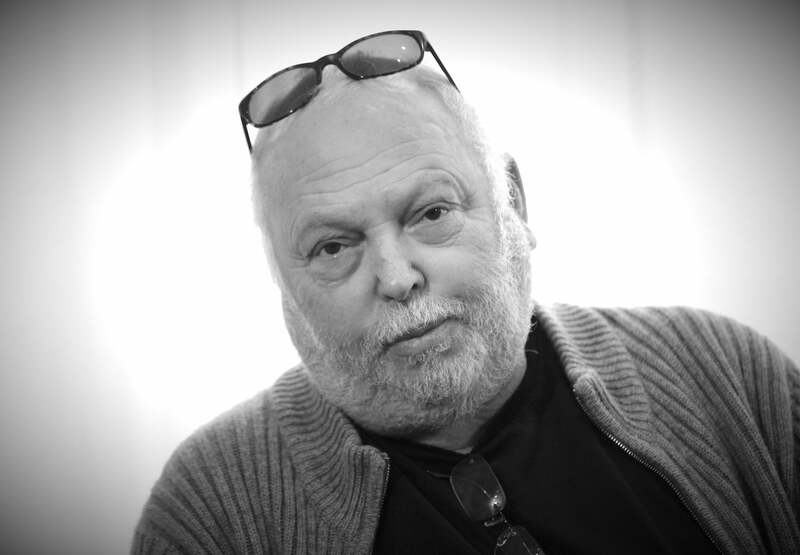 Put in charge of the Hungarian National Film Fund, Vajna continued in the industry he loved, giving grants to scores of Hungarian productions, among them Son of Saul , the World War II drama that won the Golden Globe for Best Motion Picture- Foreign Language in 2016, bringing Andy Vajna's career as a successful producer full circle. "Andy Vajna was a dear friend and a revolutionary force in Hollywood." wrote Total Recall's Schwarzenegger "He proved that you don’t need studios to make huge movies. He had a huge heart, and he was one of the most generous guys around. I’ll miss him."